You only have space for 14 clubs in your bag so choosing the right ones to carry with you is essential. The really tricky area to get right is the bottom end of the bag. Do you carry two, three or four wedges? What are the ideal lofts? What exactly is bounce angle and how will it help? These are the questions you should all be asking and as club professional, I am here to help you make smarter decisions about which wedges to carry. The obvious piece of advice is to carry a range of lofts that leave as few awkward pitching distances as possible. 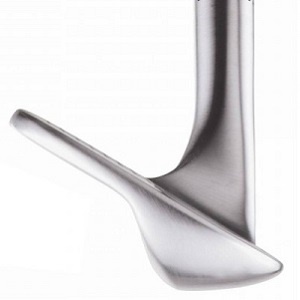 A popular option is to carry a set pitching wedge, a 52° gap wedge, a 56° sand wedge and a 60° lob wedge. However, this line-up may not be exactly right for your game and there are more than just these lofts available to make sure you can hit all the key distances when you pitch. The other main consideration is bounce. Before we get into the bounce angles you should be thinking about, first I need to explain what exactly it is. If you hold the wedge perpendicular to the ground and look at the head you'll notice how the sole angles down, below the leading edge of the face. The amount of the sole below the leading edge represents the bounce angle. The bounce angle will help the club to glide through thick grass and sand without the wedge digging, losing energy and causing a duff strike. The simple rule relating to bounce is that the harder the surface, the less you need. From tight lies on the fairway, you need the leading edge to sit as close as possible so that you can nip in behind the ball. 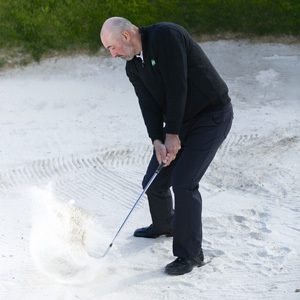 From fluffy lies in the sand or rough, more bounce will help the club retain speed through impact for those high-flying, soft landing shots. Having a squad of wedges with different lofts and bounce angles is the key to having a solution to every on-course scenario. Of course, in order to use the bounce correctly, you'll need the right technique. For more advice please don't hesitate to come into the pro shop and book a lesson.